This section details the revolutions of 1989 throughout Central and Eastern Europe. Solidarity was the first independent labor movement in a Soviet bloc country. It was founded in 1980 in Poland in the shipyards of Gdansk. Since 1970, Polish workers had been protesting and striking due to rising food prices that became increasingly unaffordable under their worker’s salary. In 1980, the Polish Communist government announced a raise in meat prices, causing another round of strikes that summer, which culminated in the formation of Solidarity in August, led by Lech Walesa. Solidarity members and the government confronted and negotiated with each other for a year until the General Wojciech Jaruzelski, first secretary of the Polish Communist party, ordered a massive military putdown of the strikes, and had the movement’s leaders arrested. Solidarity remained an underground movement until 1989, when it was invited to participate in roundtable talks with the Polish government to quiet growing unrest. The three outcomes the parties agreed on meant big changes for the Polish government and its citizens. The Round Table Agreement legalized independent trade unions, created the office of the Presidency (abolishing the power of the general secretary of the Communist Party), and established a Senate. Solidarity became an officially recognized political party and challenged the Communist party in the fully free 1989 Senate elections, winning 99 percent of the seats. This election was a clear blow to Communist Party power in Poland, but the Soviet Union, and the rest of the Warsaw Pact, under Gorbachev’s reforms was no longer in a position to militarily defend its satellite states. Solidarity leader Walesa was elected President of the Republic of Poland in 1990. After the success and influence of the early ‘90s, Solidarity resumed activities as a traditional trade union. Political change and movement away from the Communist system was taking place in other Soviet satellite states as the Soviet Union was clearly on the decline. The Berlin Wall fell in November 1989 signaling the end of Soviet influence in East Germany. That same month, Czechoslovakia experienced their “Velvet Revolution,” a series of non-violent protests and countrywide strikes organized by the Civic Forum that led to the overthrow of the Communist party in December. 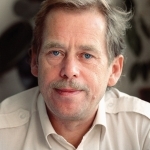 Leader of the Civic Forum, Vaclav Havel, became president after free and fair elections were held in 1990. Hungary had been undergoing liberalizing changes since the 1960s when leader Janos Kadar began releasing political prisoners, increasing workers’ rights, and introducing market system aspects to Hungary’s economy. 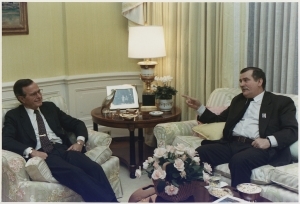 In 1988, Kadar was replaced by Communist hardliner Karoly Grosz, splitting the Hungarian Communist Party, which eventually liberalized and reorganized itself as the social democratic Hungarian Socialist Party in 1989. In May 1989, Hungary opened its borders with Austria, being the first Eastern bloc country to break through the Iron Curtain; thousands of East Germans fled west through this open border during the Pan-European Picnic held in August. Hungary held its first free and fair elections, and withdrew from the Warsaw Pact in 1990. Bulgaria also experienced a relatively peaceful transition from communism. Several opposition parties began emerging in the late 1980s. Communist leader Todor Zhivkov tried to avoid making concessions to these parties who demanded religious and human rights; however, the opposition gained too much support from the West for the faltering communist system to put them down. After Zhivkov was overthrown and replaced by Prime Minister Petar Mladenov, Bulgarian citizens took to the streets to protest the continuation of communist rule and demand democracy and free elections. With the backing of the Bulgarian people, the opposition groups formed the Union of Democratic Forces in order to strengthen their voice. The Communist government realized it was at a loss and stepped down on January 15, 1990. 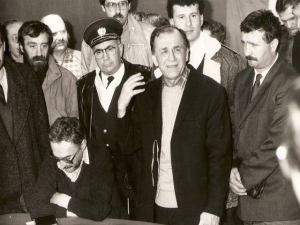 Iliescu during the Revolution of 1989. Discover more through the photograph. In contrast to these peaceful transitions, the Romanian Revolution of 1989 was extremely violent, involving several bloody public uprisings, and culminating in the execution of former dictator Nicolae Ceausescu and his wife. The National Salvation Front led by Ion Iliescu (a former Communist party leader) took control, and Iliescu was elected head of state in 1990. The fall of communism in the late 1980s presented an unprecedented opportunity for rewriting the social contract in many of the former communist countries. In the case of Yugoslavia’s republics, with the exception of Slovenia, there was no congruity between the identity of the nation-state and the population that lived in it. The population was multiethnic and, although tensions never ceased to exist during communism, interethnic conflicts was kept under check by the Yugoslav Communist Party and its repressive apparatus. With Tito long gone and with the rapidly changing international environment in the late 1980s and early 1990s, the ethnic tensions in Yugoslavia blew open.